Another Guardian of the Galaxy is confirmed for Infinity War. Neill Blomkamp doesn’t have much hope for his Alien movie ever happening. Kristen Wiig is joining The Last Man on Earth. Plus, Mädchen Amick talks up her Riverdale role, X-23 goes on the attack in new Logan pictures, and new Lego Batman Movie footage. Spoilers Now! Dave Bautista has confirmed that he is one of the many—many—returning characters that will be in the film. Meanwhile, despite the fact production began on the film this week, neither Jeremy Renner and Elizabeth Olsen have yet to see a script for the film. Neill Blomkamp thinks the odds of his take on the Alien universe getting made in the wake of Ridley Scott’s upcoming Prometheus sequel/Alien prequel Alien: Covenant are slim. Basically every movie is starting production this week—here’s confirmation from director Roar Uthaug that Tomb Raider has started its own. Empire has a bevy of new pictures from the film. 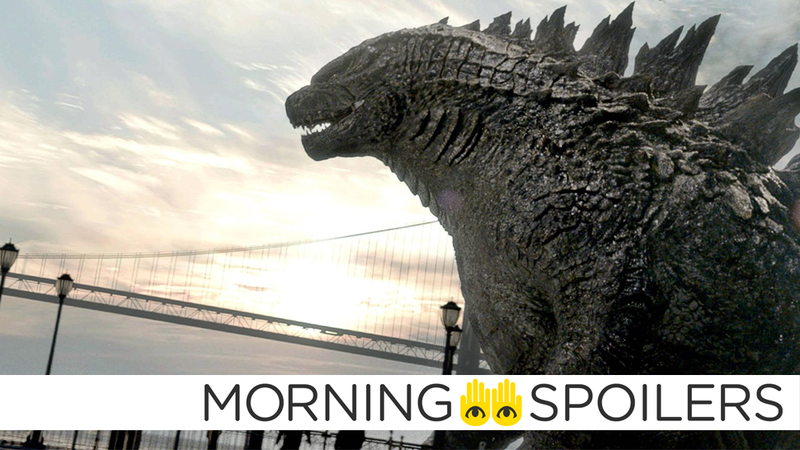 There’s a lot of monsters that aren’t King Kong himself in these three new TV spots for the film. Batman preps his kickass theme song in a new TV spot. Patrick Fischler will reprise his role as the Author when the show returns. Ryan Murphy teases the inevitable future crossover season of the show, which is in the works but not either seasons eight or nine. Let’s hope it really does become American Horror Story: Sarah Paulson Plays All the Characters. Oh, she’s devastated. She’s now facing her mortality. She knows the end date, and that’s terrifying. But now that she has an end date in mind, that kind of emboldens her through the rest of the season because, “I know when I’m supposed to die, so I’m not going to die until that point.” That’s going to cause some friction between Iris and the rest of the team. FX has released a series of the most vague synopses ever written for a bevy of episodes in the first season. “Chapter 3" - David Searches for answers while a threat looms. “Chapter 4" - David’s in trouble, while his friends search for answers. “Chapter 5" - David faces a new threat. “Chapter 6" - David goes back to where it all started. “Chapter 7" - David tries to find a way out of his predicament. The burden of leading weighs heavily upon Clarke (Eliza Taylor) and Bellamy (Bob Morley) when different challenges force them to determine who will live and die. Finally, Mädchen Amick discusses playing the hilariously overbearing mother of Betty, Alice Cooper, in a new video interview.